So-and-so was born to this amazing family with these amazing attributes, and they never ever ever sinned and were always happy and always put others before themselves and were never resentful about anything the end. 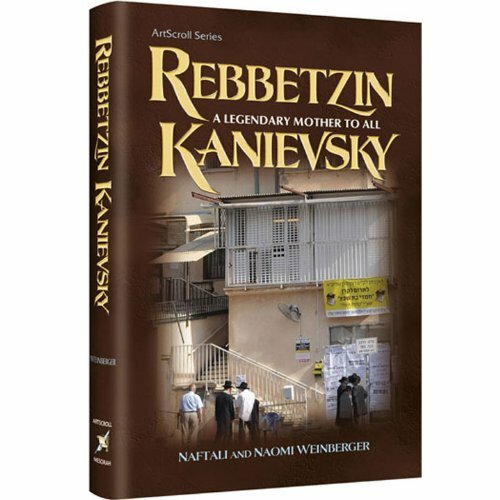 While there was the typically generous use of the words “always” and “never,” this biography did share some facets of the Rebbetzin’s life which she found challenging (not seeing her parents as much as she would have liked, for instance). It also conveyed the tremendous capacity for Ahavas Yisrael, love for all Jews, that the Rebbetzin was well-known for. I’m no Rebbetzin Kanievsky in that area, either. But that’s okay. Despite the disconnect, I was struck that after reading this account of this extraordinary woman’s life, I was actually inspired to improve my level of Jewish observance. It’s okay that I’m not just like Rebbetzin Kanievsky, because Hashem doesn’t want me to be Rebbetzin Kanievsky. He doesn’t want you to be, either. We’re just supposed to be the best versions of ourselves. think about the tremendous amount of blessing in my life. Be. All that you can be. Get an edge on life, with Rebbetzin Batsheva Kanievsky. Well, close enough. You get the idea. Have you ever read a biography that moved you to make a change? Sometimes I remember to include other posts you might enjoy. Today is one of those days. Torah Tuesdays: Who were you in your past life? Hahahahaha! The folks in the Armed Forces would be thrilled to see how you have used their theme song. ;) I love how you make these writings sound accessible. Like you, I have always passed them by because the players are always made to sound so perfect. Maybe time for a second look, eh? I like to think they might even use the new, improved jingle in an ad spot. Maybe the best way to approach biographies is to ask for recommendations first? I think so! Lol at your impression of the simplistic writing formula! I can’t think of a full-length biography that’s inspired me, but I was inspired by a story about a rabbi that I read in the Artscroll edition of Iggeret HaRamban. (Unfortunately I don’t remember the rabbi’s name right now.) The rabbi was friends with a mentally ill man who thought he was a military officer. This man was playing a radio very loudly and rapidly switching it back and forth between stations in an aggravating way. Instead of getting mad or yelling at him to turn it off, the rabbi asked, “Are those military secrets?” When the man said yes, the rabbi replied, “Well, as you know I am not a member of the military. 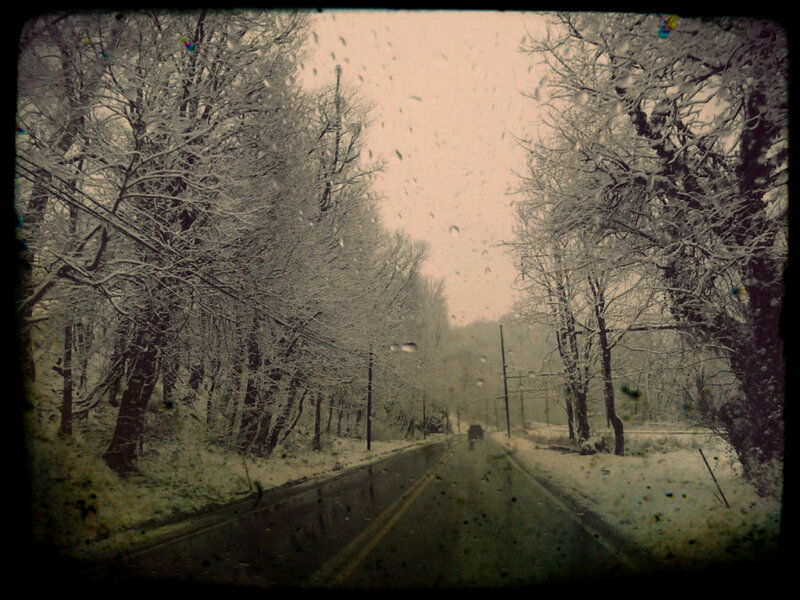 I probably should not be hearing these secrets.” And then the man turned off the radio. I thought that was an admirable example of how to be kind to others and avoid conflict. Ha, I thought you might appreciate that! I’ve heard that story before, and I also can’t remember who the rabbi was. It is a very powerful story. I wish I could be that creative and sensitive when parenting my children!! I also read this particular biography and found it more “relatable” than most in its genre (though like yourself I had several moments of “I could never do that…”) . I also enjoyed the book “As Long as I live” by Aharon Margolit; it the story of an Israeli who overcomes polio, severe stuttering and a number of other issues. It is well written and inspirational. Mishpacha had a feature on him a few weeks ago and the book looked really interesting, I think I will check it out! Thank you for the recommendation! Holy Woman by Sarah Yocheved Rigler is an amazing, precious book. Years ago, I read My Uncle the Netziv, and it touched my heart. I really loved the Netziv and the Brisker Rav as amazing, real human beings thanks to that book. Another gedolim biography that had a big impact on me was “The Guardian of Jerusalem” about Rabbi Yosef Chaim Sonnenfeld. But that was mostly because of the fascinating historical context. It helped me understand the essence of what it means to be chareidi more than anything else before or since. But how can we neglect my favorite of all: The Memoirs of Gluckel of Hameln. I read it at least 6 times. But if we are going to get into autobiographies, that’s a whole other list! Wow, Naomi, thank you for all these great suggestions! I also enjoyed Holy Woman. In general, Sarah Yocheved Rigler is inspiring as a writer and as a woman. I’m looking forward to reading these other books! I would love to hear the list of your favorite autobiographies, too! We forgot one – maybe because it is so obvious: All for the Boss. If you can get the original version – even better. Ruchama Shain is a wonderful writer. It is her warm, lively personality and writing style that shines through and really makes that book a winner (I once heard that it is the best-selling Feldheim book of all time). The reality to is that the main factor that makes any biography good is the writing. The personality of the Gadol is secondary. Mediocre biographies are either a result of poor writing skill or the fact that the writer is consciously censoring themselves from presenting the material in a more exciting way, due to the kavod of the Gadol. Oh, I loved All for the Boss. It’s been a while since I read it, and I could probably use an infusion. I can understand the dilemma a writer faces in portraying the life of a Gadol. It’s not a task I would want to take on. Unfortunately, I feel that the elimination of challenges and struggles diminishes the greatest of a person. After all, we know that a tzaddik falls seven times and gets back up (Mishlei). It’s in the falling that we often learn to tap into our greatness. But if the book never even addresses the falling, then how will we learn? How will we learn to overcome our own middos challenges? Anyways, I’ll get off my soapbox. Thank you again SO MUCH for the great recommendations! I like your idea of having a “Rebbetzin Kanievsky moment” every day, hitting some ofthe points you put in the bullet list. These are real, attainable goals I think I can do every day. Thanks for your suggestion. I’m reading this book now and am in awe of the Rebbitzen’s energy level. Just the sheer volume of food that was cooked and distributed from that tiny kitchen is overwhelming me! The lesson I want to remember most is the “simchas hachayim” (joy in life) that affected all of her activities and efforts! As it says in psalm 100, “Ivdu es HaShem b’simcha” (serve HaShem with joy). What a legacy! Wow, that is so beautiful. And I love the way you are taking it to heart and getting down to the practical ways of learning from her! It was a really moving biography, and I must have read it at just the right time to get inspired! Rivki, I read the book too, but I did not take it to a practical level like you did. I need to learn from you!